Learning to count is as easy as 1, 2, 3! With vibrant photographs showcasing the numbers one to ten, City 123 invites kids to look at cityscapes with new eyes. Familiar objects such as skyscrapers, bags of leaves, cars -- and even french fries! -- will help children discover that numbers are all around them. Soon they'll be counting just for the fun of it! About Zoran Milich (Author, Photographer) : Zoran Milich is a published author and a photographer of children's books. 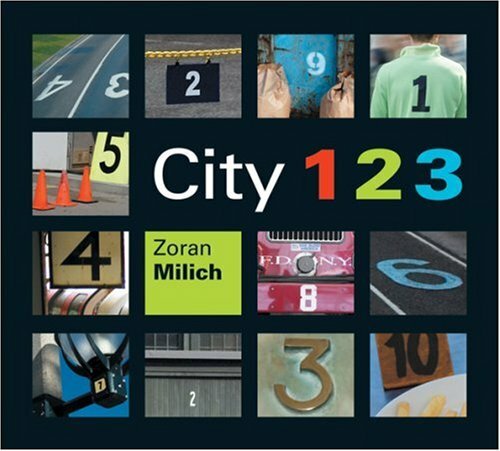 Some of the published credits of Zoran Milich include City 123, City Signs.